If you’re thinking of investing in the 2017 Jaguar XJ, you’ll want to know just what you’re getting both inside and out. The 2017 Jaguar XJ is one of the most sumptuous, advanced vehicles you’ll find on the road, and the exterior proves it. 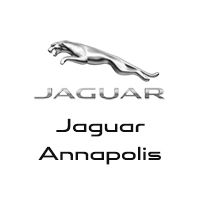 See what you’ll get today from Jaguar Annapolis. The 2017 Jaguar XJ is designed to please and thrill. It begins with the signature teardrop shape of the Jaguar, which brings together elegance, simplicity, and advanced engineering. While the body of the XJ may look effortless, it’s actually the result of exhaustive computational modeling that helps improve aerodynamics and reduce wind resistance, improve downforce and reduce lift, and improve fuel efficiency and acceleration for an exciting and smooth ride that you won’t soon forget. Every line and curve on the 2017 Jaguar XJ is built for beauty that will turn heads all around Arnold. The side windows emphasize the sleek, long build of the Jaguar, with its minimalist and pure lines, while the chrome outlining on the windows gives your Jaguar a sense of flair. The wide, low stance gives your Jaguar a commanding and confident presence that will turn heads around Arnold, while the taut waistline and subtle curves give it a sleek sense of speed and beauty. The 2017 Jaguar XJ starts with trademark lamps. The Double J design of the daytime running lights gives your Jaguar a unique front fascia, looking like a jungle animal with eyes narrowed to leap. The LED bulbs cast a bright and clear light that uses less energy than traditional halogen beams and is closer to true daylight than Xenon headlamps. The front LED lights are accentuated by the upright front grille, with a sophisticated mesh detail that makes your Jaguar look as cool and commanding around Baltimore as you feel while you’re in the driver’s seat. The rear of your 2017 Jaguar XJ features LED tail lamps to improve visibility, which form a distinctive and intriguing pinstripe graphic that forms a clear, crisp ribbon of light. 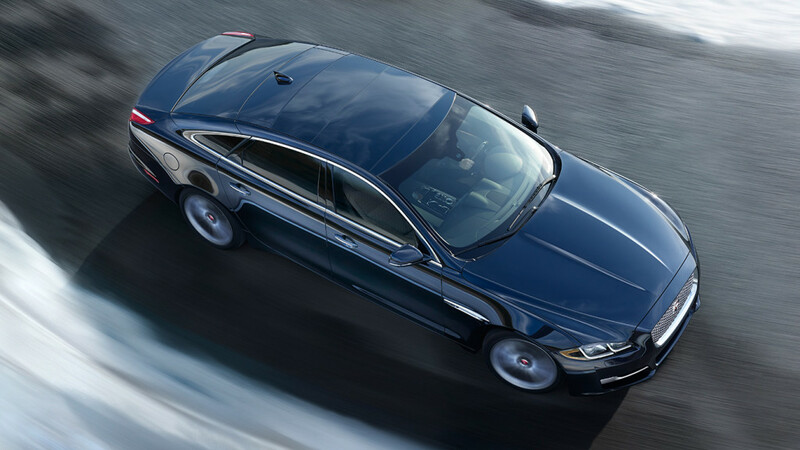 The final touch on the 2017 Jaguar XJ’s exterior is the panoramic roof. This roof sweeps across the whole ceiling of your Jaguar, letting your passengers see the sights in Washington DC while you drive. The glass is heat-reflective, filtering UV rays out of the spectrum while letting you enjoy the natural light and fresh air. Power operated blinds block out the line for a cool and dark ride.